Florida State University is one of the nation’s top research institutions for producing Fulbright U.S. Scholars and students, according to the Chronicle of Higher Education, which publishes an annual list of top producers by type of institution. 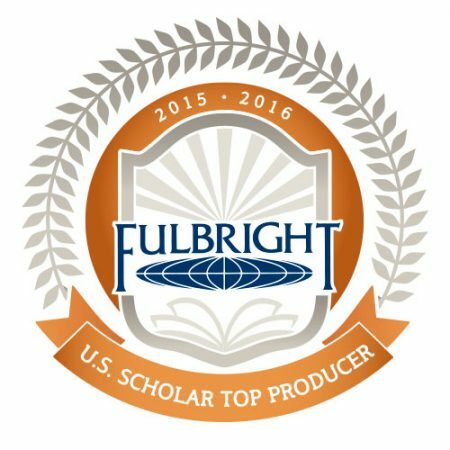 Seven faculty scholars from Florida State were awarded Fulbright grants for 2015-2016. FSU is tied for third in the nation among research institutions. Florida State also ranked among the nation’s top-producing research institutions for Fulbright students with 11 students receiving awards in 2015-2016 — the only school from Florida on the list. The U.S. Department of State’s Bureau of Educational and Cultural Affairs recently announced the U.S. colleges and universities that produced the most 2015-2016 Fulbright U.S. Scholars. The Fulbright Program is the U.S. government’s flagship international educational exchange program. Seven is the largest number of Fulbright faculty scholar awards Florida State has received in an academic year. In addition, it is the third time in four years that FSU has been a top-producing university for Fulbright Students. Ten recent FSU graduates received grants for the 2015-2016 academic year as part of the Fulbright U.S. Student Program, while another earned a Fulbright-mtvU Award — a special Fulbright that focuses on contemporary or popular music as a cultural force for expression or change. “Our continued success with the Fulbright student awards demonstrates the phenomenal dedication of our undergraduate and graduate students to international research and education, as well as Florida State University’s commitment to supporting an environment that fosters international experiences for our students,” said Craig Filar, director of FSU’s Office of National Fellowships. The Fulbright U.S. Student Program is the largest U.S. exchange program offering opportunities for students and young professionals to undertake international graduate study, advanced research, university teaching, and primary and secondary school teaching worldwide. The program currently awards approximately 1,900 grants annually in all fields of study and operates in more than 140 countries worldwide.